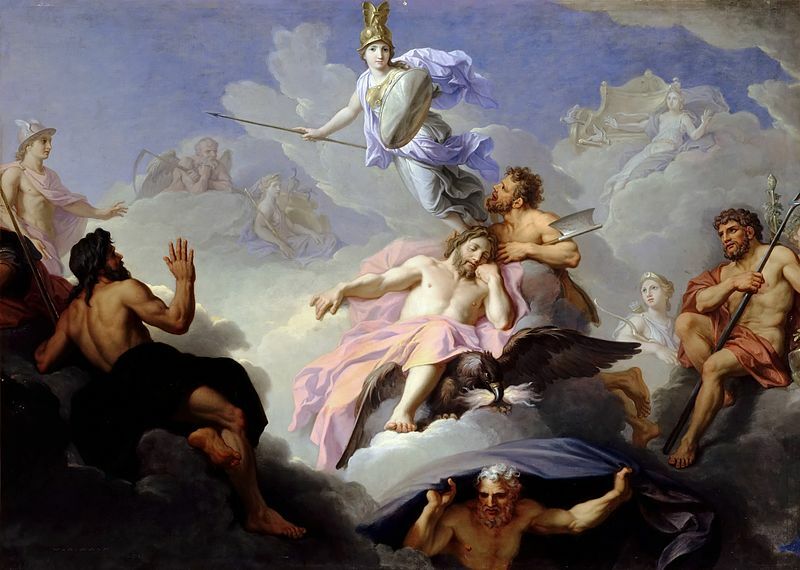 Prophecies and those who could foretell the future were integral to many important stories of Greek mythology; and many important gods and goddesses were considered ocular deities, including Apollo and Phoebe. Many mortals also had been blessed with the ability to see the future, but prophecies could be dangerous to both those who told them, and those they were told about. In most versions of the myth, the parents of metis were Oceanus and Tethys, Titan deities, and the god and goddess of freshwater. The parentage of Oceanus and Tethys makes Metis an Oceanid, one of the nominal 3000 daughters of Oceanus. 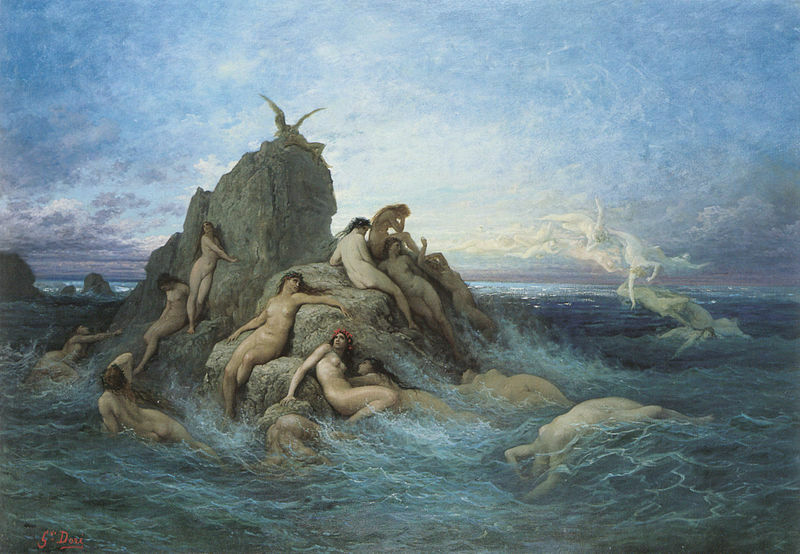 Oceanids in Greek mythology were generally considered to be simply minor water nymphs associated with lakes, springs, fountains and wells. Metis though was considered to be one of the elder Oceanids, and was considered to be much more important than most of the other Oceanids, and indeed, Metis was often named as a Titan goddess, although a second generation Titan, and Metis was considered to be the Greek goddess of wisdom, or at least the goddess associated with wisdom during the Golden Age of Greek mythology. Metis was born during the rule of the Titans under Cronus, a time known as the Golden Age, and a time when Oceanus played an important role in the running of the cosmos. Ouranos had made a prophecy about Cronus that said he would be overthrown by his own child, and so Cronus, to keep power, swallowed any children born to Rhea, imprisoned within his stomach. Zeus though escaped this fate, and would eventually lead a rebellion against his father. To aide him, Zeus had his father regurgitate the siblings of Zeus to provide the basis of a fighting force, and whilst it is normally said that Gaia provided the poison to force Cronus to release the Olympians, it is occasionally said that it was Metis who concocted the poison. As to why Metis would do this to her own uncle is not quite clear, but Oceanus remained neutral in the war that was to follow, and indeed it was Oceanus who urged one of Metis’s sisters, Styx, to join the cause of Zeus. Even before the Titanomachy the reputation of Metis as the Greek goddess of wisdom was already established, and it was only enhanced by the war for Metis was also said to have given counsel to Zeus during the Titanomachy, offering advice on how the war should progress. The reputation of Metis continued to grow after the war, and with Zeus now the supreme god, Metis was often found in the company of the new ruler of the cosmos. Such was the closeness of Metis and Zeus, that the pair were considered to be married, making Metis Zeus’ first wife. 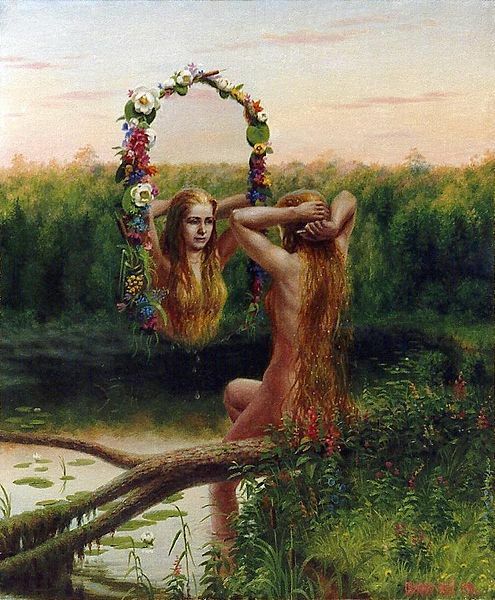 Metis though would make a prophecy that involved both Metis and Zeus, for the goddess proclaimed that she would give birth to a son of Zeus who would be more powerful than his father. Having just become supreme deity, Zeus was in no mood to see his position challenged so quickly, and so Zeus puzzled on how he could circumvent this prophecy. Zeus’ plan was very much in keeping with the plan undertaken by Cronus, but rather than swallowing his own children, Zeus decided to swallow Metis instead. Some stories tell of how Metis was in the form of a fly when Zeus swallowed the goddess, although this was not always the case. As previously seen though, being swallowed by a god was not a death sentence, and was simply a form of imprisonment. When Zeus swallowed Metis though, his wife was already pregnant, although thankfully for Zeus the unborn baby was not a boy. Metis started making clothes and armour for her soon to be born child in her prison, and such was the hammering of metal undertaken by Metis that it caused Zeus great pain. Eventually the pain became so intense that he had to seek relief from it and Hephaestus was instructed to take up his axe and open up Zeus’ head with it. So Hephaestus struck Zeus with a single blow, and from the open wound emerged a fully grown, and fully armoured deity, for Metis had given birth to a new daughter for Zeus, the goddess Athena. Subsequently, Athena would assume the title of Greek goddess of Wisdom, for the Athena was often linked with the arts and knowledge. Metis herself would not escape from the wound before it healed though, and forevermore, Metis was said to be imprisoned within Zeus. Zeus would of course marry other goddesses afterwards, including Themis, and most famously the goddess Hera. But living on within Zeus, Metis was said to continue to offer Zeus counsel, just as she had done before her imprisonment. Metis though could not get pregnant again by Zeus, and so Zeus was one of the few who successfully circumvented a prophecy made about them.